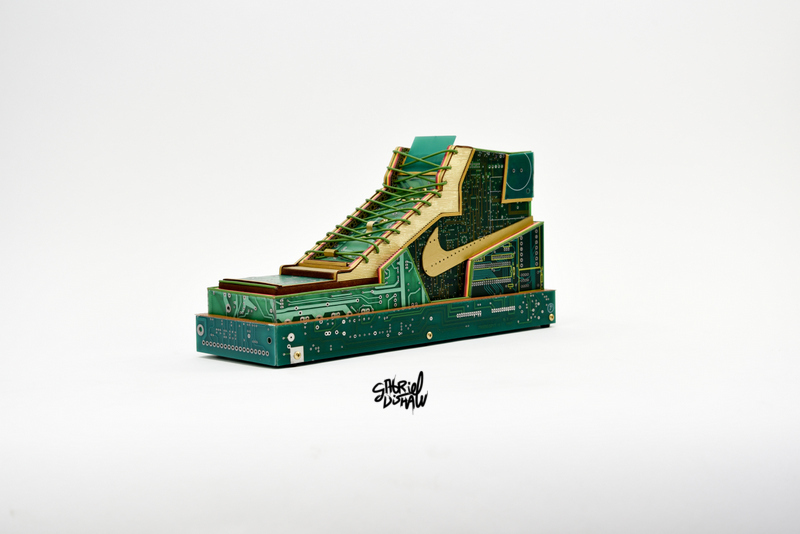 DESCRIPTION AND DETAILS: This sculpture is part of a shoes series I'm working on where I revisit some of my favorite classic sneaker silhouettes. 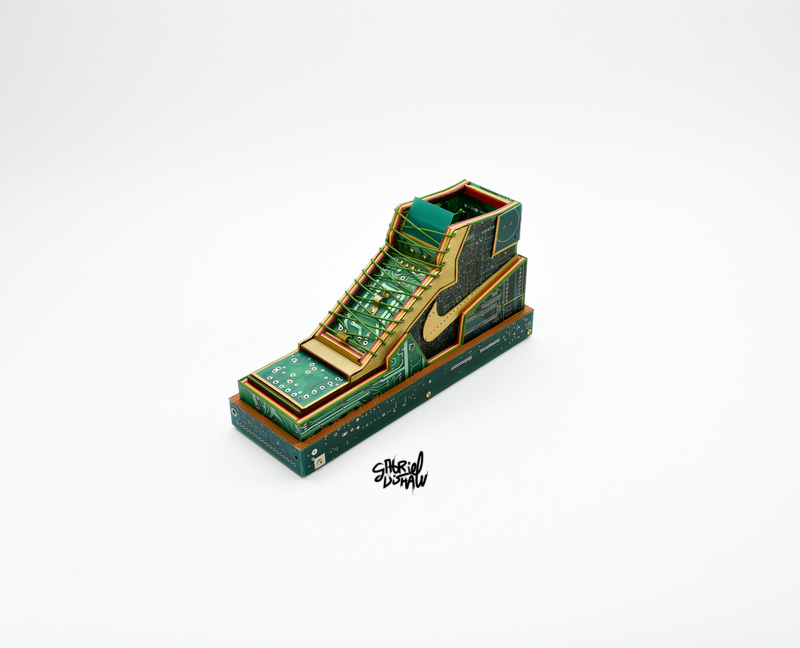 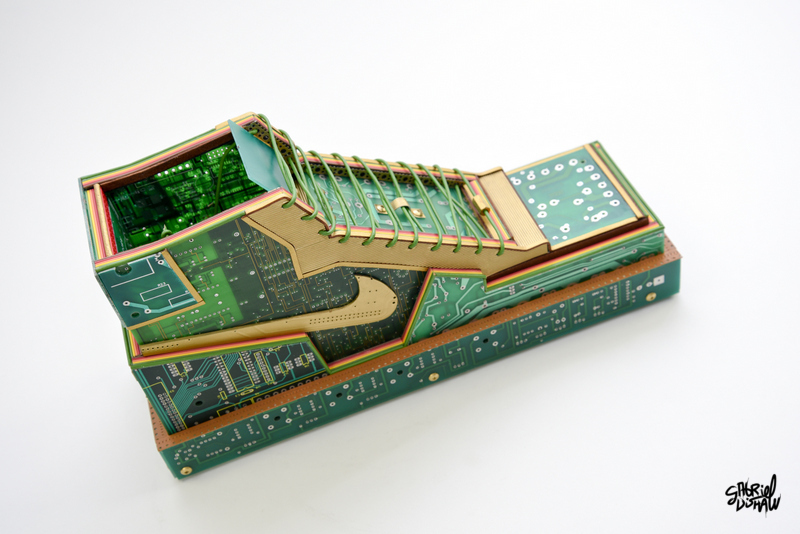 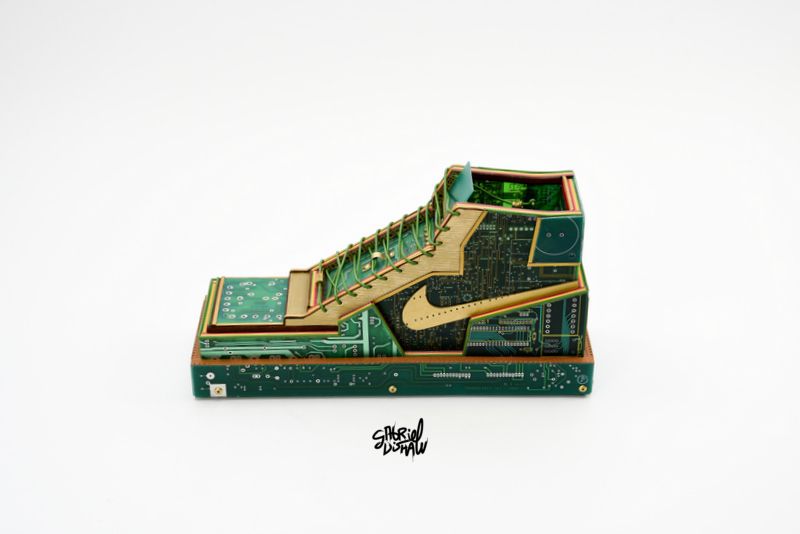 This sculpture was modeled after the iconic Nike Terminator. 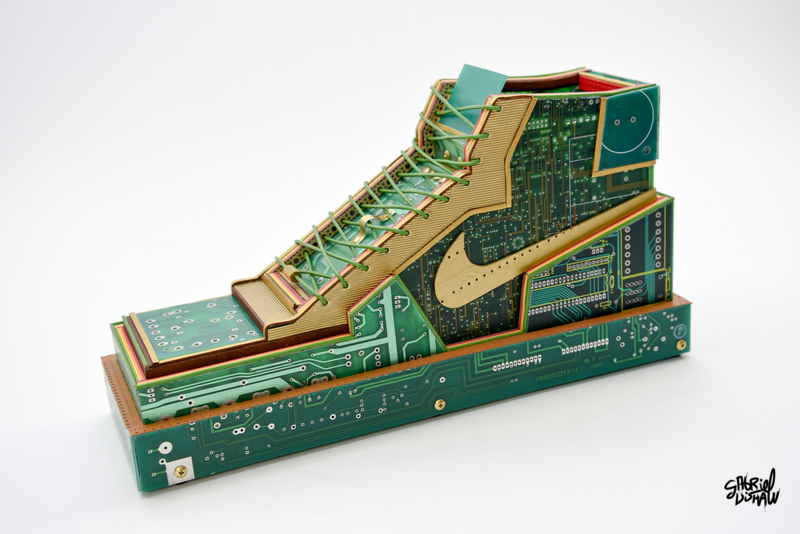 Materials Used: Circuit Boards, Data Cables, Wire, Leather and other upcycled materials.